Stephen Malkmus is the singer and co-founder of Pavement - one of the most beloved and influential modern rock bands of the 90s or ever, for that matter. They recorded so many songs that capture the decade perfectly: Cut Your Hair, Range Life and Stereo just to name a few. 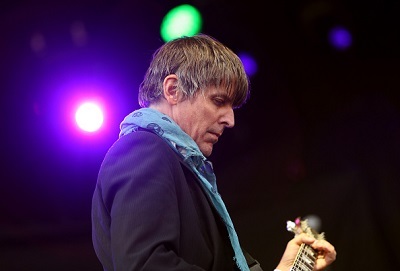 The band broke up in 1999, but Malkmus has kept on, as prolific as ever, dropping 8 records since 2001. His latest just dropped, it's called Groove Denied and includes a different sound including drum machines, vintage synths and a lot of voice reverb. It's a departure for him. A little less like The Fall, a little more like Suicide or Kraftwerk. What is the song that changed his life? Love Will Keep Us Together by Captain & Tenille.